Dhruva decided to go to the forest and pray until God appeared before him. 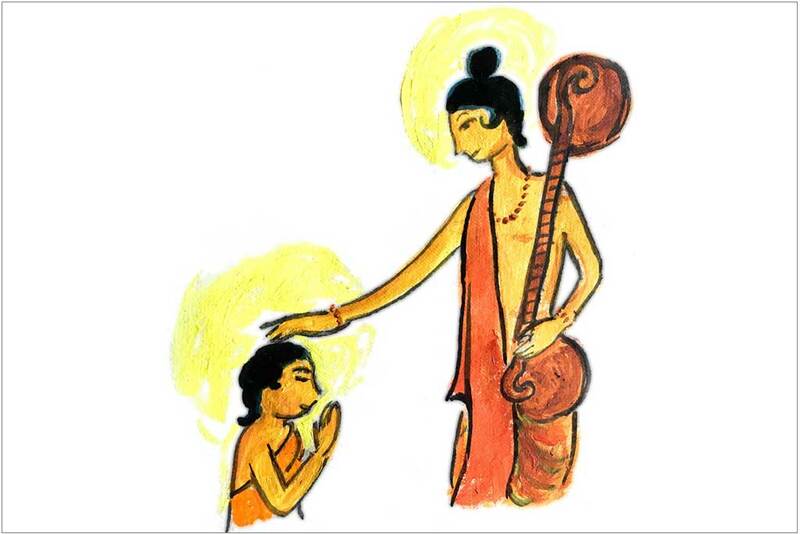 There he met Narada Muni, who was worried that a five-year-old boy would face many dangers. He warned Dhruva that wild animals could eat him up. But, Dhruva’s fierce determination knew no bounds, and the sage was completely astonished. Impressed by this commitment, Narada taught Dhruva how to survive. He also taught him the mantra “Om Namo Bhagavathe Vasudevaya”, as by chanting this Dhruva could please Lord Vishnu.